GIVE THE GIFT OF DELICIOUS HOMEMADE ROCKY ROAD THIS CHRISTMAS. WITH 3 DIFFERENT FLAVOURS TO CHOOSE FROM. 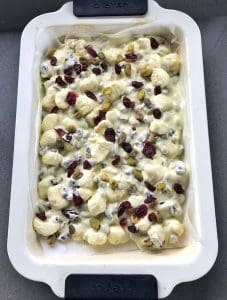 YOU CAN MAKE YOUR FAVOURITE OR MAKE THEM ALL, I’M SURE YOUR LOVED ONES WILL LOVE IT. 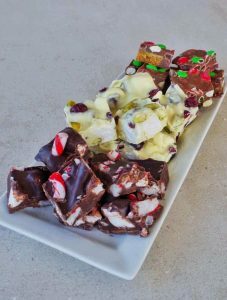 You can’t beat a homemade Christmas gift and this rocky road will be sure to impress your friends and family. 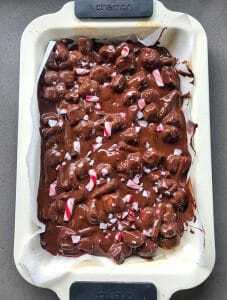 Rocky road is one of my favourite things to make! 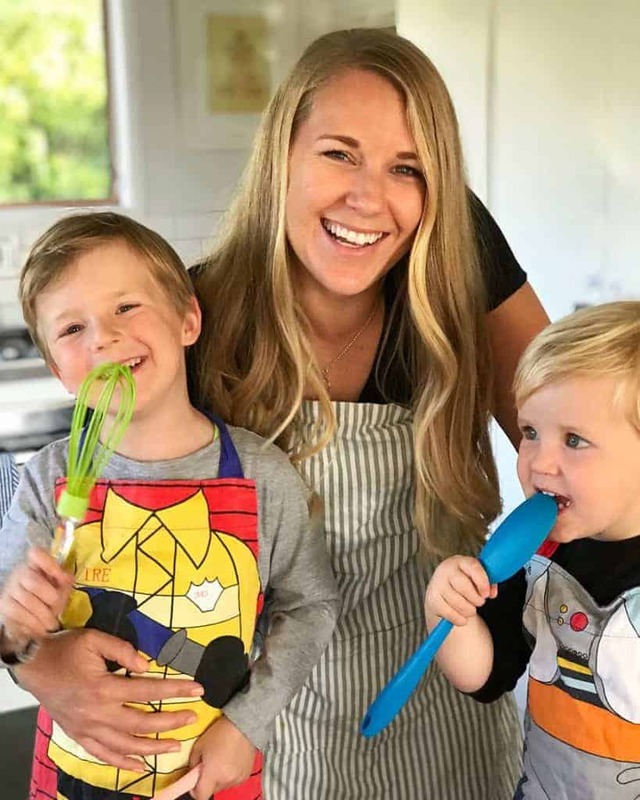 The combination of chocolate and delicious filling is so fun to whip up in the kitchen and the kids can join into too, even if it’s just to lick the bowl. 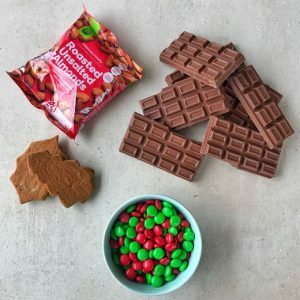 Countdown has everything you need to make these delicious treats, you can choose one of the flavours or make them all. Rocky road is so versatile and I’m sure any of your favourite nuts, dried fruit or confectionary would work well too. In the lead up to Christmas it’s amazing having the great range of quality products available at Countdown, with many of them or special or on price lockdown. This all helps to make your groceries more affordable at this busy time of year. 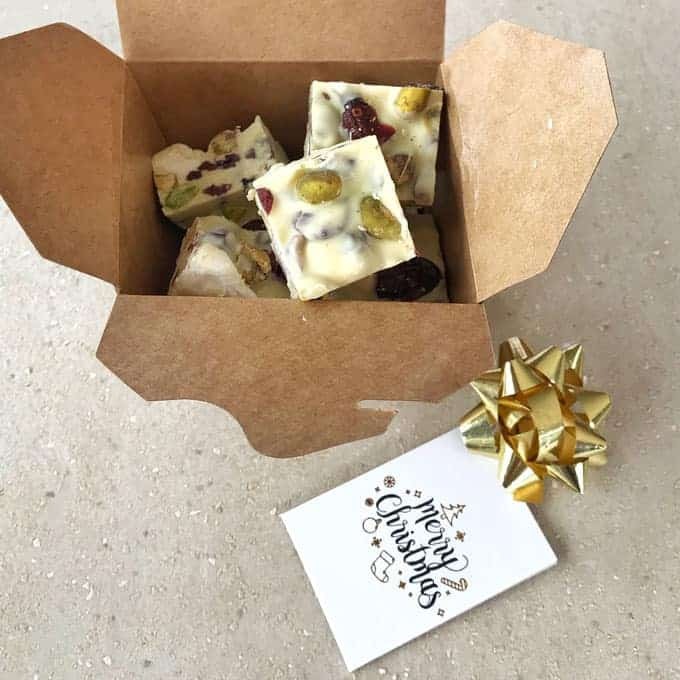 Pop your favourite flavour or an assortment of each into little boxes or wrap up with some cellophane and ribbon, and this recipe is an easy and affordable gift for a loved one this Christmas. I used paper takeaway style boxes and put a cute ribbon and card on top. 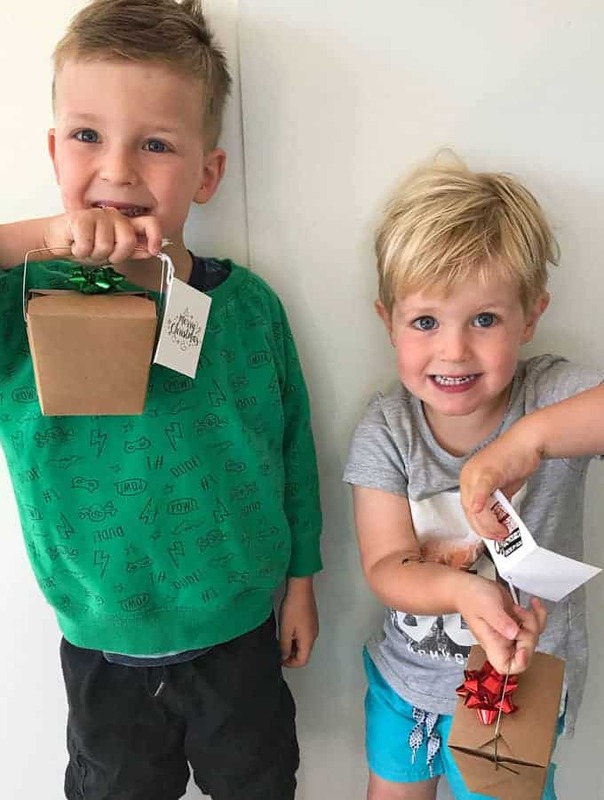 My boys Archie and Henry loved giving the cute boxes to their deserving Kindy teachers as an end of year thank-you and Christmas present from our family. This recipes is so easy, you first melt the chocolate, (I used my microwave but if you don’t have one you can use your stove) add the different filling flavours and spread it out on a tray. 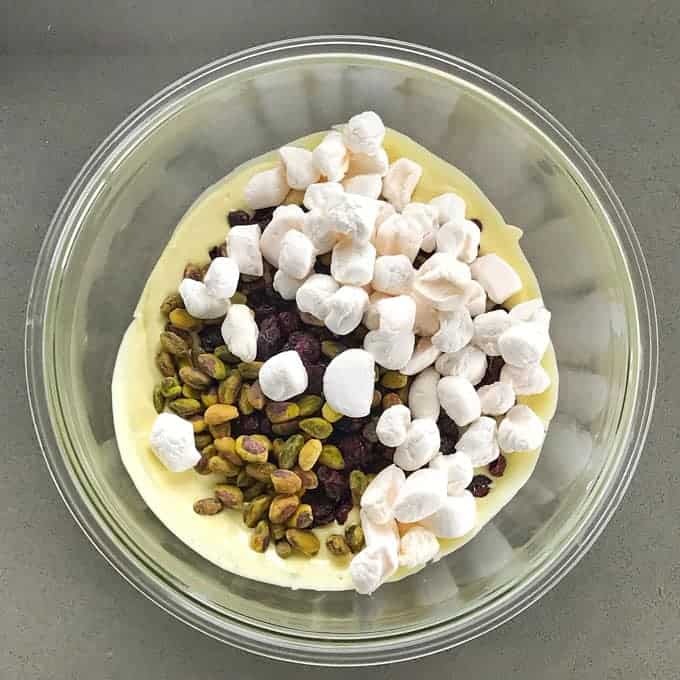 Remember to reserve some of the topping ingredients to sprinkle over to add a more decoration and colour at the end. 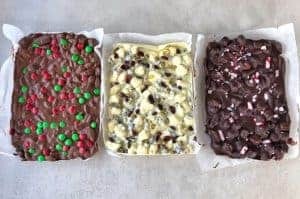 Set your rocky road in the fridge and then chop it into small pieces, I like to keep mine in the fridge until ready to gift to a friend or family member. Or if it is too tasty to give away just keep it for yourself in an airtight container in the fridge. 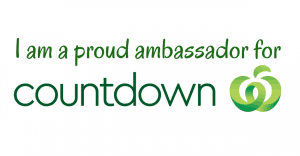 Thank you so much to Countdown for partnering with me to create these tasty gifts. I hope if you make these your friends, family or colleagues they love it as much as mine did. This recipe is for all three flavours, they all have the same steps just different fillings. 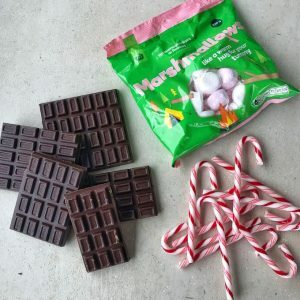 Pour in the filling ingredients and mix together with the chocolate. 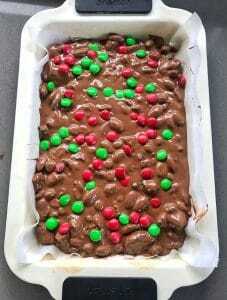 Line a tray with baking paper and pour in the chocolate mixture. Push the chocolate right to the edges then scatter over the topping. Chill in the fridge then chop into small pieces once set. 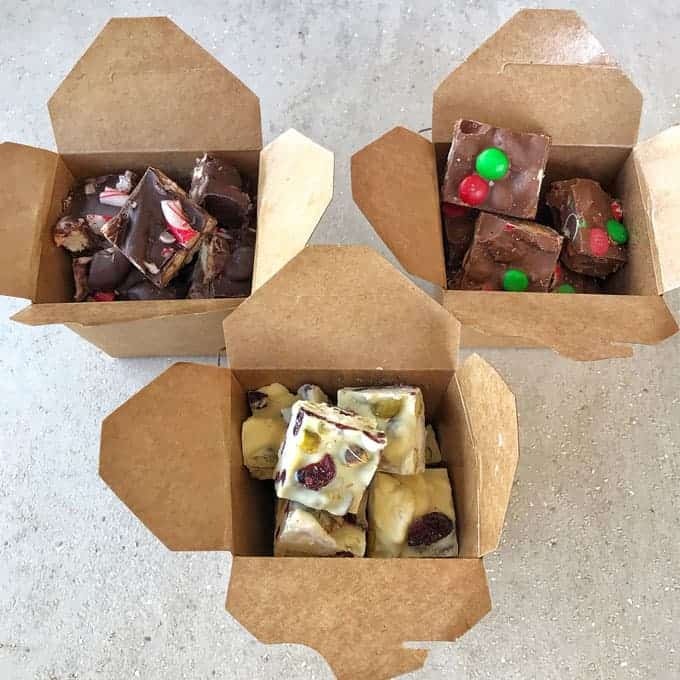 Store the rocky road in the fridge or in a cool place.